Going back to last Friday, when my little brother asked for corn dogs, I was like, “Wow, that doesn’t sound like it would be too hard to do at all.” I mean, like batter…and hot dogs. But how I would go about the batter was a bit of a mystery to me. 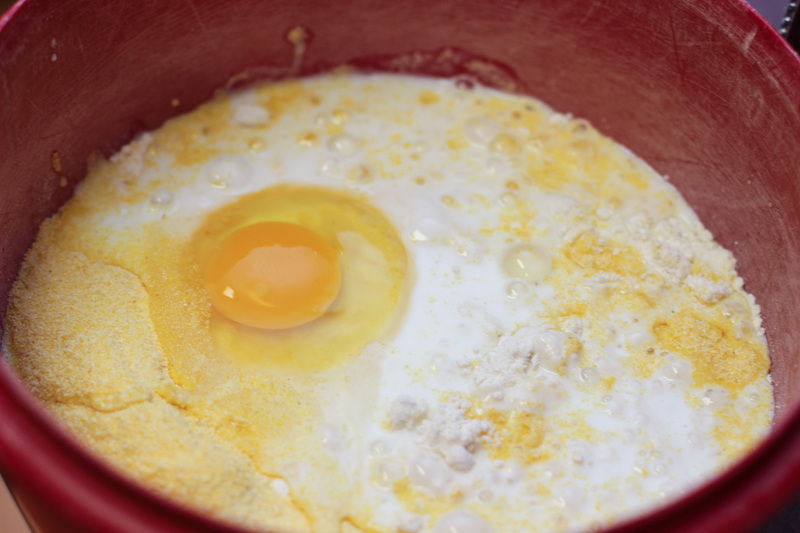 Luckily, I found a beautiful recipe from the Pioneer Woman’s blog (link below), and I modified it a bit for our needs before making the corn dogs. It was basically my first time frying anything, and by “me” frying the corn dogs, I mean my mom did it. I didn’t trust myself around the deep fryer, and I still don’t understand how people can calmly set delicate battered hot dogs in there when the thing is sputtering hot oil at you, but I guess it’s something I’ll get comfortable with eventually. So the beauty credit for these things goes to my mom, but I’ll take credit for the classic state fair flavor we had going on. My 18-year-old brother even approved, and he generally hates everything, so I think I won. 1. 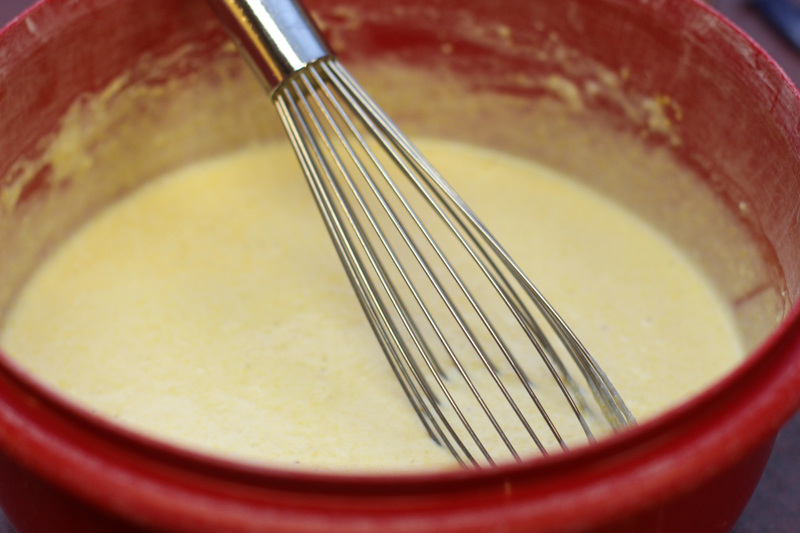 Mix pancake mix, cornmeal, egg and buttermilk in a medium bowl. 2. Heat oil in a deep fryer. 3. 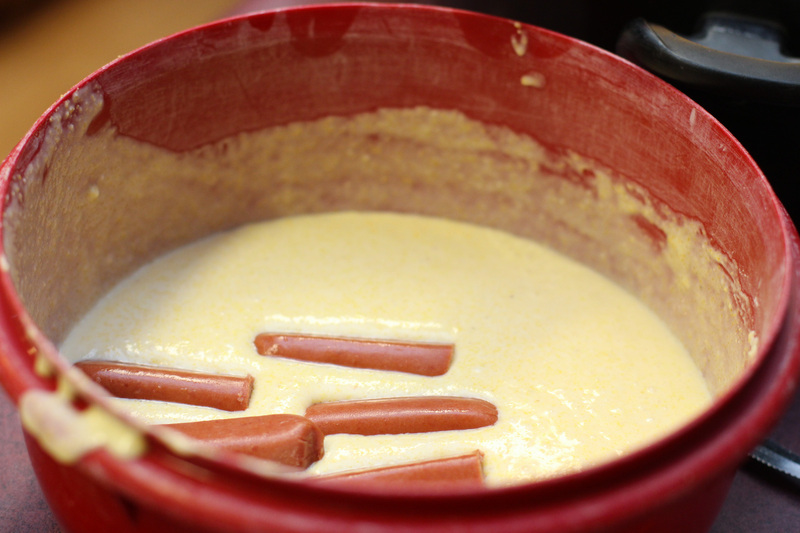 Slice each hot dog in half and dunk in batter. 4. Place each batter-covered hot dog in the deep fryer, a few at a time, for 2-3 minutes or until golden brown, turning over a few times to cook evenly. 5. Allow corn dogs to cool for a couple of minutes before serving. 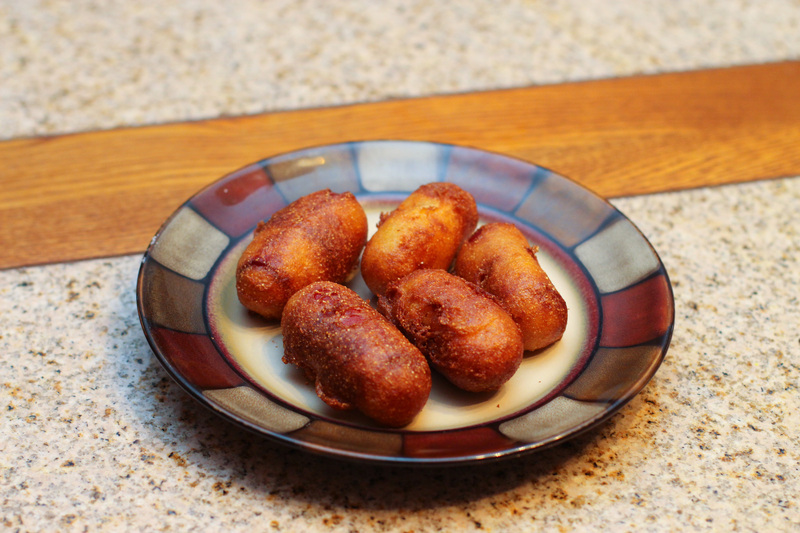 This entry was posted in dish, Recipes and tagged buttermilk, corn dogs, corndogs, cornmeal, deep fry, food, hot dogs, mini corndogs, recipe, recipes. Bookmark the permalink.